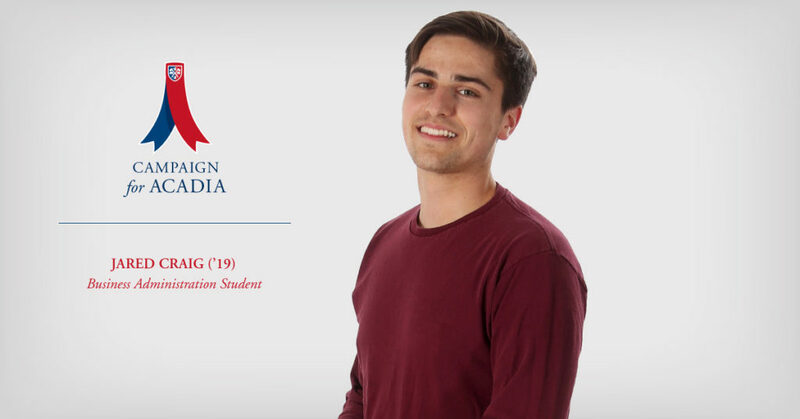 The first time Jared Craig (’19) visited Acadia, he was dropping off his older brother in a snowstorm. The second time was in spring, when he was considering which university to attend. “I got a full campus tour in April, and I just loved the campus. It was beautiful. So it really made my decision a whole lot easier,” he says. Craig is working towards a Bachelor of Business Administration (Finance), and although he describes himself as extremely shy, he soon made friends with people he met during Orientation Week and later in classes. Acadia’s individualized support for students was initially a surprise. “In high school, they tell you you’re going to learn everything on your own at university. But that’s really not the case here. You can look for additional resources and get help from the professor. I think that’s really important to know coming in,” Craig says.